Alpinism is adventure, risk, effort, passion and love; it is the strength of a man who goes beyond himself and faces his own physical and mental limits. The first rule of alpinism is giving the best of yourself, because you are endangering your own life. Therefore, you cannot lie, find excuses or postpone decisions. Through beautiful pictures and evocative stories, Hervé Barmasse tells us about an alpinism where nature – if respected and listened to – becomes friendly and accessible to everyone. It is a journey between the uncertainty of the results and the research of the impossible, between sport and the culture of the mountain. “A professional alpinist is the one who defends and protects the mountain, the one who goes climbing in respect of nature, and not the one who wants to climb in any way possible.” A sustainable alpinism for the good of the community. 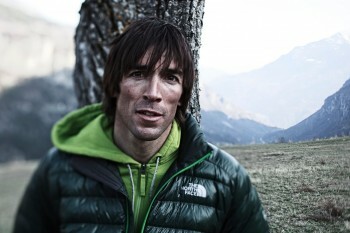 Hervé Barmasse (Aosta, 1977) is a professional alpinist and director of mountain movies. Born in a family of alpine guides, his name is linked to important climbs all over the world. He is the alpinist with more exploits on the Cervino mountain, the place where he was born and raised. Last May he accomplished an outstanding performance in Himalaya, climbing the southern side of the Shisha Pangma (8027 mt) in only 13 hours. In 2015 he wrote the book La montagna dentro, published by Laterza.